Recognising an immediate need for High Definition displays, Laserdyne is releasing the D series of Black Opal HD multi-function displays, and the MemorEyes HD solid-state DVR. These models have all the features that our customers have come to know and rely on plus some new innovations and improvements, such as LCD backlights user settable to day (white) or night (red or green) with adjustable intensity. Button backlight is also user settable to red or green with adjustable intensity. 2 x SDI (Serial Digital Interface) up to 1080p 25&30Hz and including 1080i 50&60 Hz and 720p 50&60 Hz. 4 x analogue video inputs. 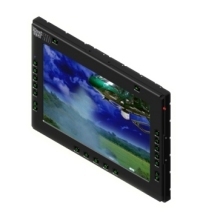 A maximum of one of the SDI and PC inputs and two analogue video inputs can be on screen simultaneously. The 9” wide screen HD display is an excellent solution for HD applications requiring smaller displays. It has a screen resolution of 960 pixels x RGB x 540 lines (¼ HD) and it can accept a HD resolution of 1080i at 50 & 60Hz or 1080p at 25/30Hz. The image can be downscaled with virtually no loss of fidelity to fit the screen (no more letter-boxing or wasted screen area, no unnecessary interpolation).The housings of this model are machined from solid Aluminium billet but with size and weight suitable for airborne applications as well as land and sea. This is the real deal for HD customers. With a resolution of 1920 x 1200 (WUXGA), this is currently the smallest LCD module capable of displaying full HD resolution. It can accept a HD resolution of 1080i at 50 & 60Hz or 1080p at 25/30Hz with no down scaling or loss of image quality – a true full HD display in a 15” diagonal package. A natural partner for Black Opal HD displays is the MemorEyes HD recorder.This product is a solid-state device offering an unprecedented level of versatility and interactivity for those conducting intelligence – gathering operations. 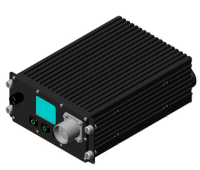 You can record audio and video any time any place: military and police surveillance, monitoring, evidence acquisition, and so on.The MemorEyes Graphic User Interface (GUI) puts system control at the operator’s fingertips. The five modes of operation and simple graphical presentations mean that, in any mode, only 3 buttons are required to perform any function.Alternately, the MemorEyes HD may be completely controlled via a Black Opal display.The MemorEyes HD employs the H.264 compression scheme. Categories: News Bookmark this permalink. Laserdyne has developed the Xtreme range of Black Opal flat panel displays, dedicated to specific applications. 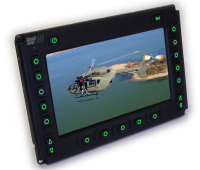 The Xtreme Air 8 model is an 8.4″ display, specially designed for airborne use. This is a reduced weight/reduced cost model, relaxing some of the stringent sealing and other measures required for land and seaborne operations. It retains the Black Opal advanced video features and high level of ruggedisation.